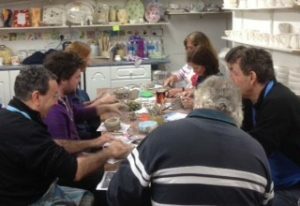 We are a cosy paint your own ceramics, crafts and pottery studio based in a 17th century mill cottage next to the river Windrush on the outskirts of Witney. 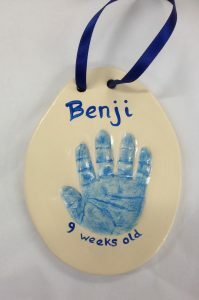 We offer friendly and professional help, good value for money and easy parking just outside the door. 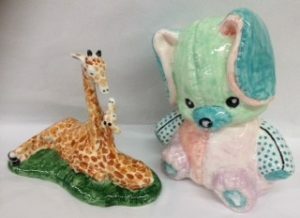 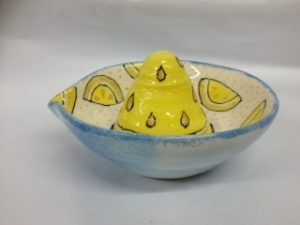 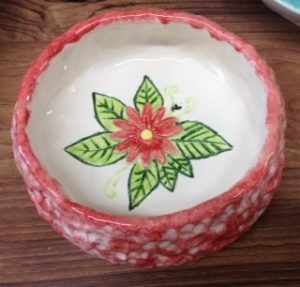 Pottery Painting ceramics is therapeutic and recreational plus it is suitable for all ages and abilities. 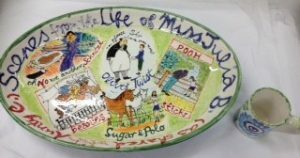 As you would expect we have loads of plates, mugs, bowls and ornamental items like money boxes, animals and character figures. 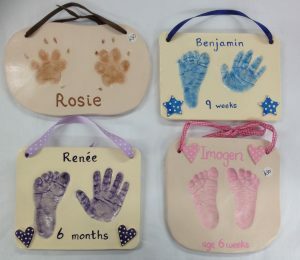 Our range is huge and constantly changing. 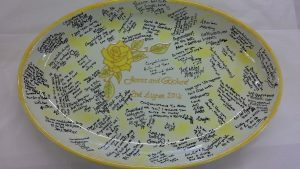 We do huge platters too! 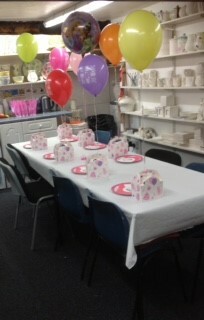 We are a popular venue for parties of all types. 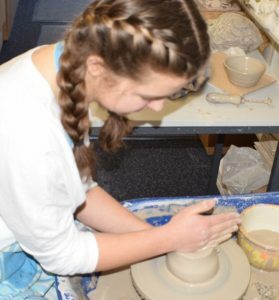 We can ensure that you have a creative and rewarding experience. 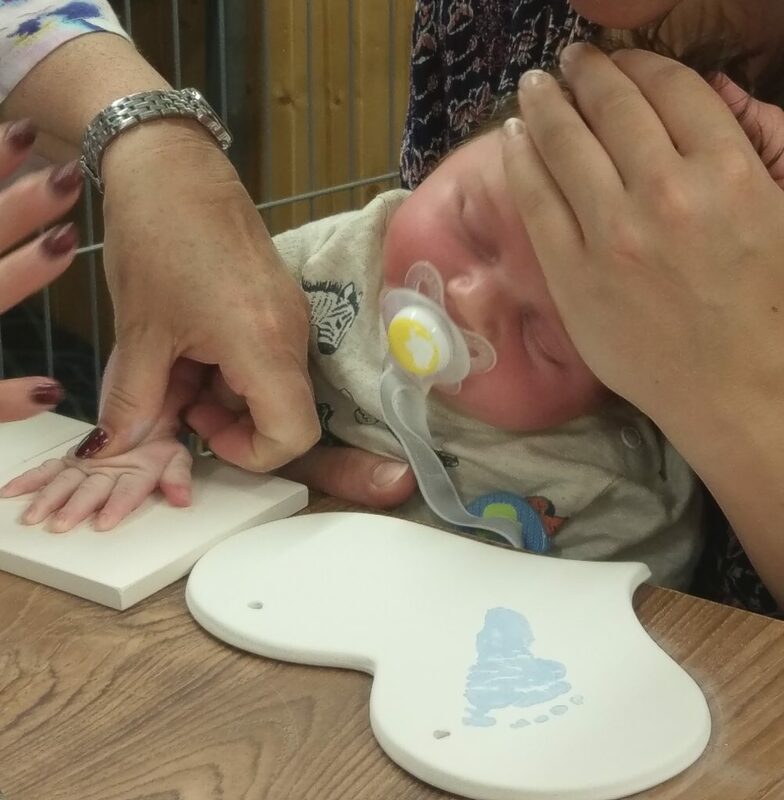 The maximum number of children we can accommodate is 18 although the average is 10 – 12. 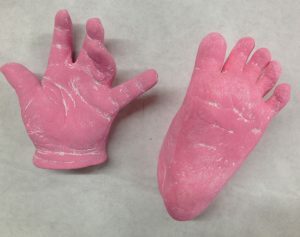 Depending on the age of the birthday child we have a couple of options. 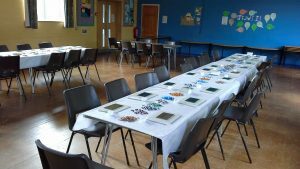 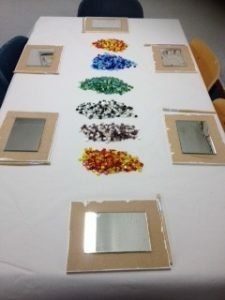 This party package is similar to option 1 but includes the use of the big downstairs table to lay out your party food ready for when the children have finished their activity. 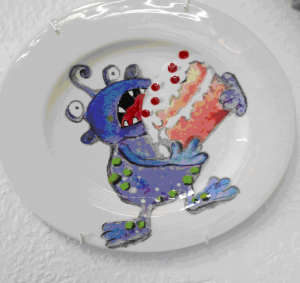 We provide paper plates, napkins, table covering, cups and bowls for nibbles. 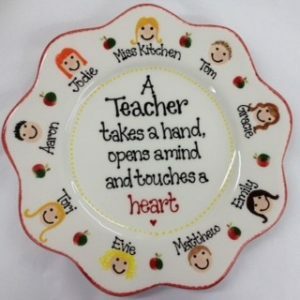 Let’s not forget the parents, tea and coffee also included. 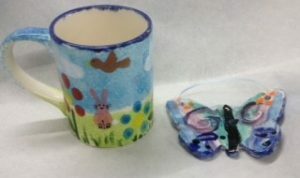 As a slight variation on a theme younger children aged 5-7 can choose to paint two smaller items and have a break in the middle for food etc. 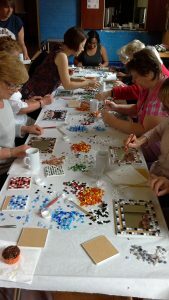 Cost £12.50 per head plus £25.00 for the use of the downstairs room. 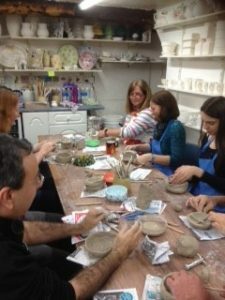 For either option a small deposit of £25 is required to secure the booking. 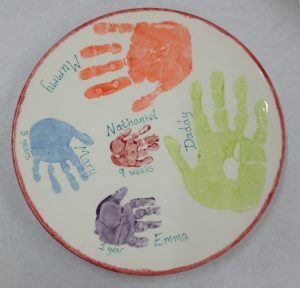 For younger children we recommend pottery painting. 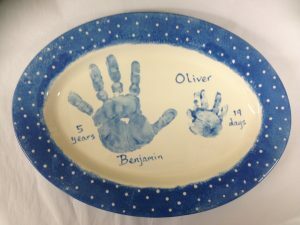 Excellent value as we offer two items of pottery and most parents opt to hire the party food table and serve lunch/tea between the painting projects. 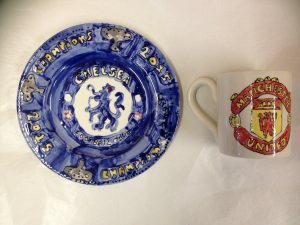 Still only £12.50 per head but pottery valued £16+. 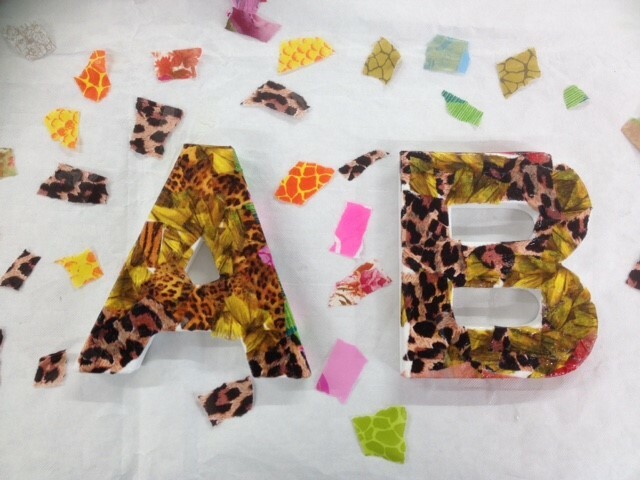 The paints wash out of clothes! 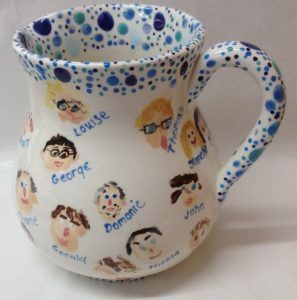 Pottery painting parties aged 7+, children choose one item of pottery. 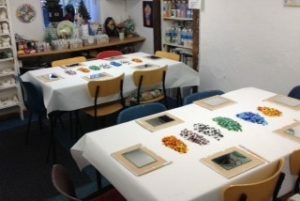 Painting activity lasts 1 1/2 hours. 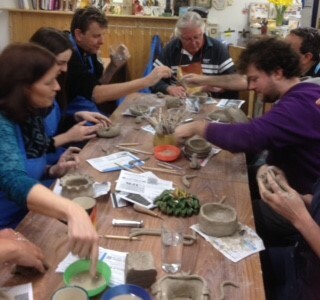 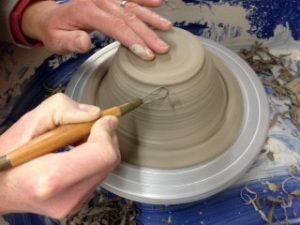 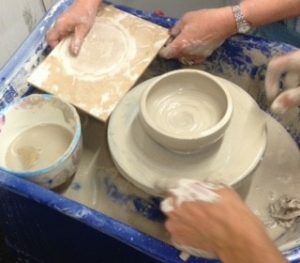 Inspired by the Great Pottery Throwdown on TV, we offer Wheel tasters and hand build clay. 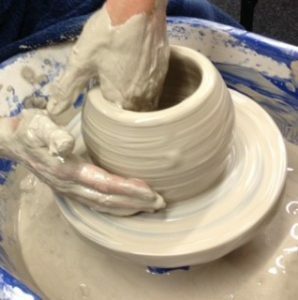 Plus 1:1 Potter’s Wheel and follow up to “turn” and finish the pottery items. 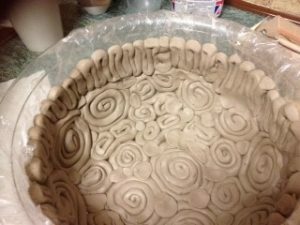 After drying and firing it’s on with the decorating and a final firing to bring out the real beauty of your work. 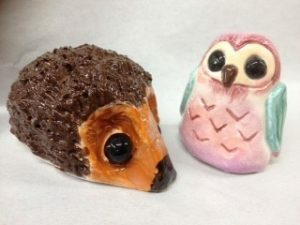 Finished items after glaze and firing. 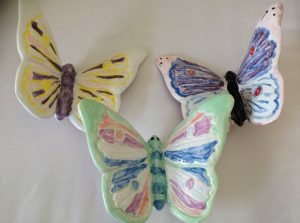 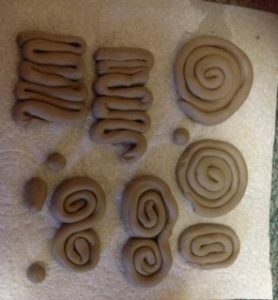 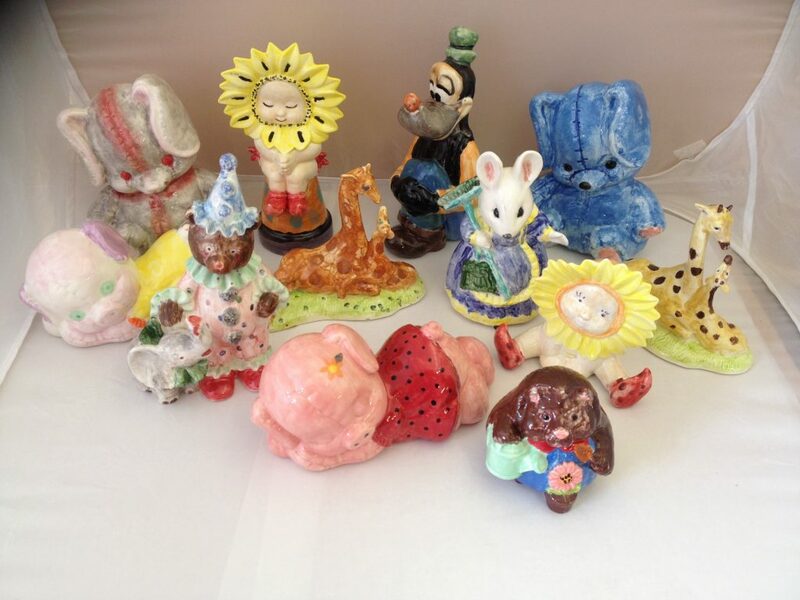 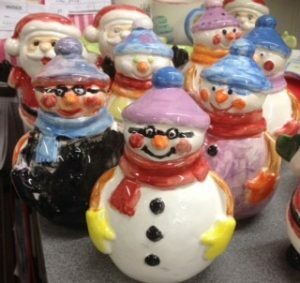 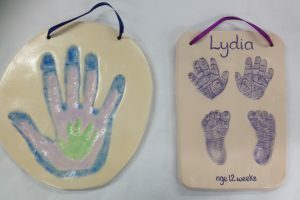 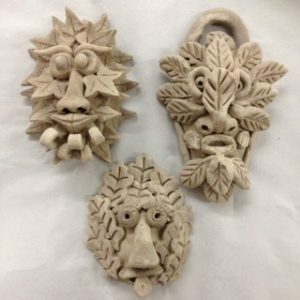 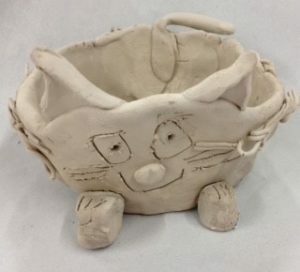 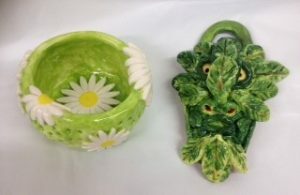 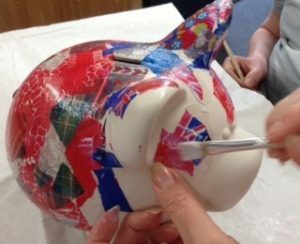 Clay Play allows children and adults to use their imagination with clay to make their own unique items. 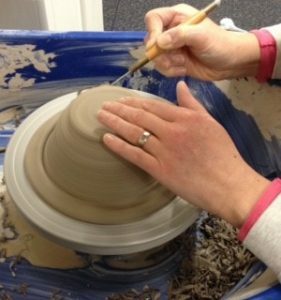 Hands, feet or even paws are pressed into soft clay resulting in a tactile impression where you can feel all those creases! 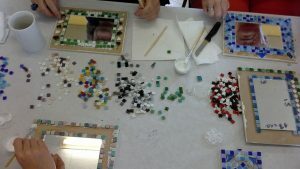 We paint in the colour of your choice and varnish. 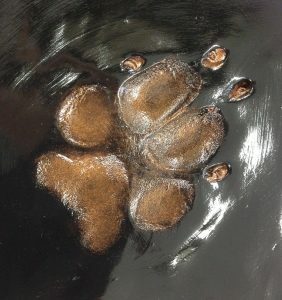 Pet paw prints. 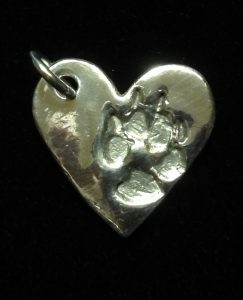 Bring your pet to Daisyroots studio and we can make a treasured keepsake. 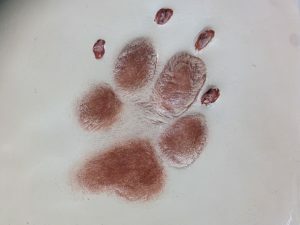 Size of average plaque is 6″ square with a single paw print of a large breed dog or 2 paw prints for smaller pets, £30. 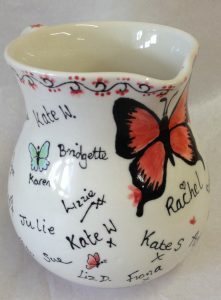 We can personalise a voucher for an amount or for a specific item. 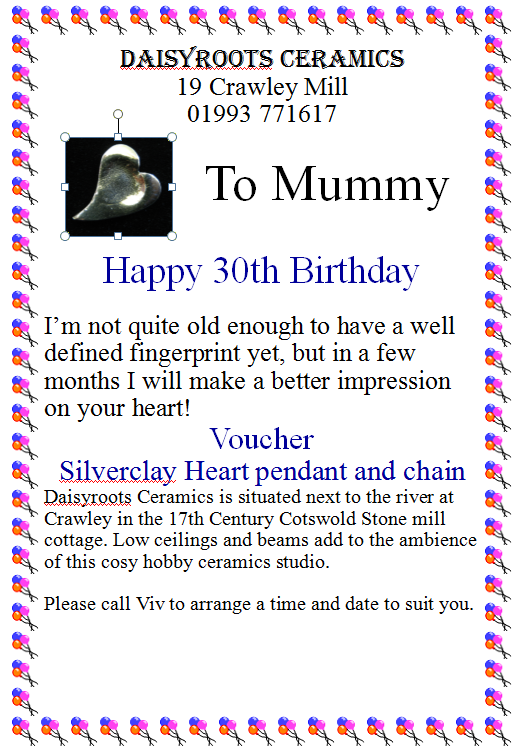 All vouchers are valid for 12 months. 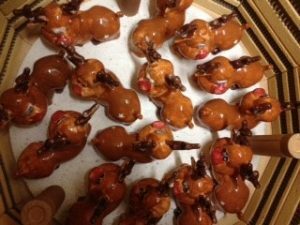 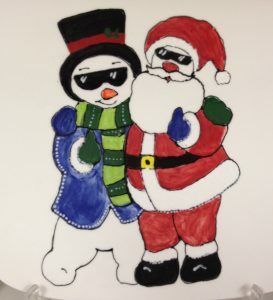 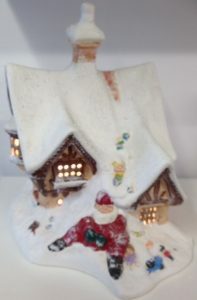 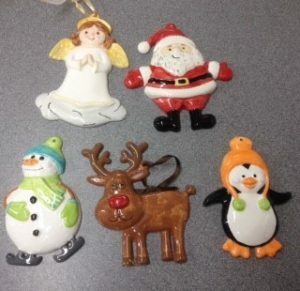 We have so many Christmas ornaments that we have made including trees, nativity characters, lights, santas and snowmen. 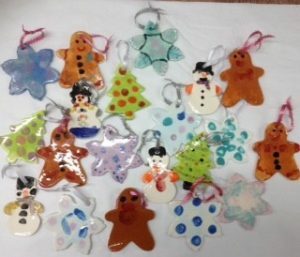 Clay tags from £4. 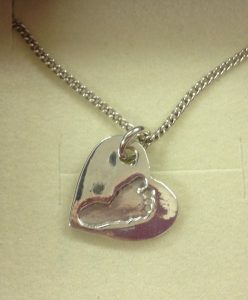 Add a message on the back. 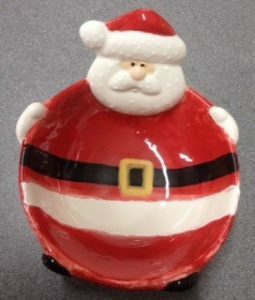 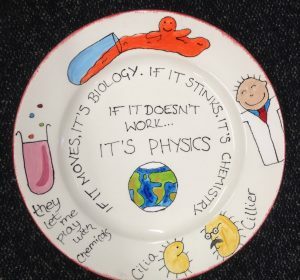 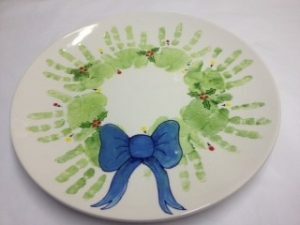 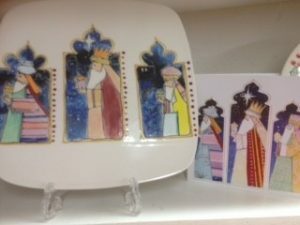 Old Xmas card is inspiration for this serving plate. 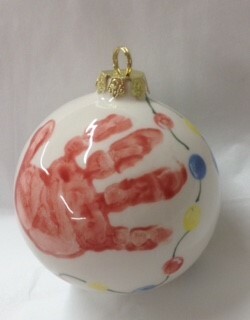 3 sizes of baubles, £10, £12.50 and £13.50. 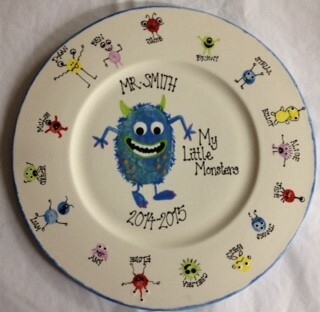 Add £3 for us to complete for you. 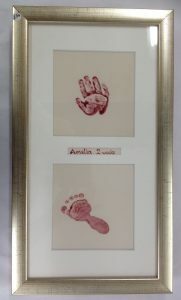 We help you achieve clear handprints even from just a few days old. 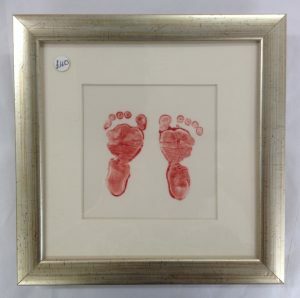 No charges for capturing prints but add £3.00+ for any finishing we do. 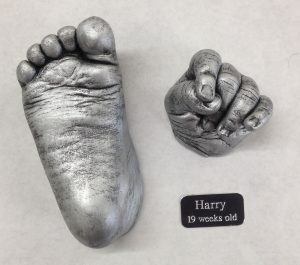 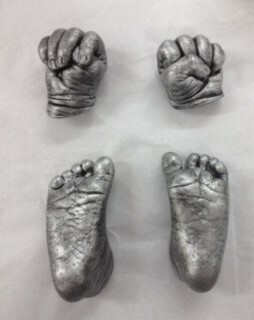 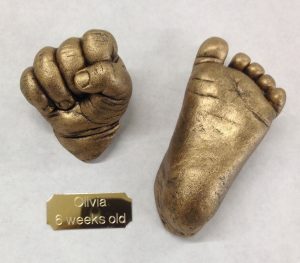 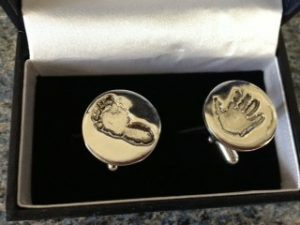 3D Baby Castings are plaster replica of your child’s hands and feet showing skin texture, creases and nails. 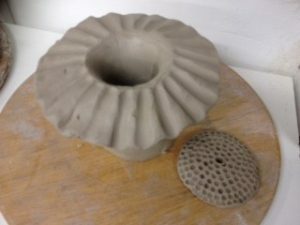 The casting material is the same as used by dentists. 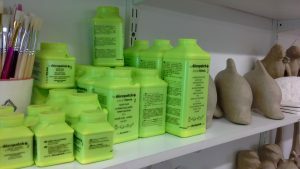 Therefore, non-allergic and safe for your baby. 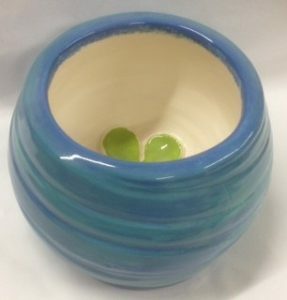 Smells a bit minty! 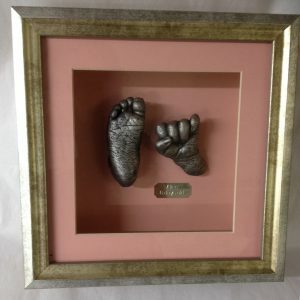 The plaster castings are fragile and we therefore frame and have an engraved plaque to complete. 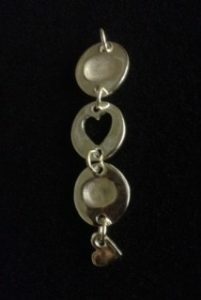 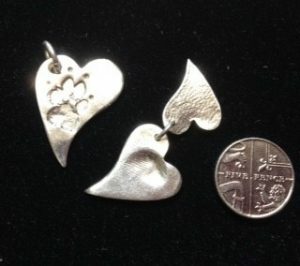 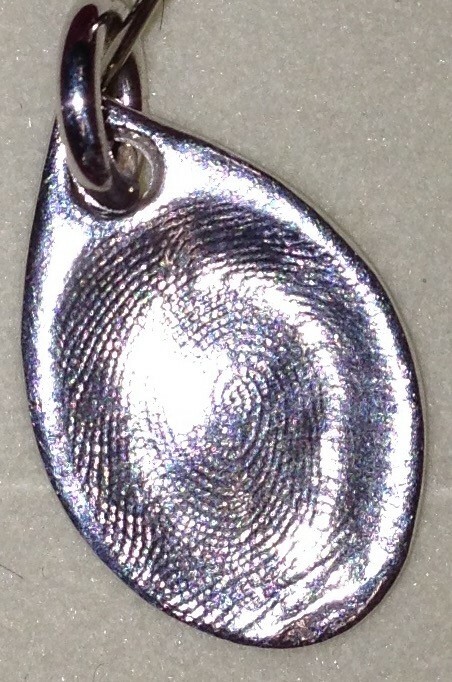 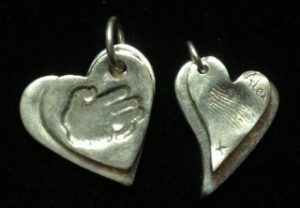 Gorgeous pure silver fingerprint jewellery to wear every day. 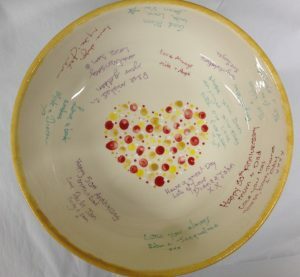 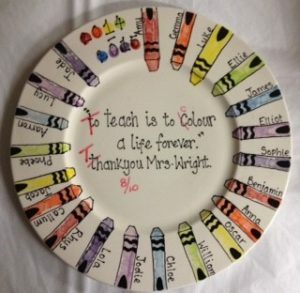 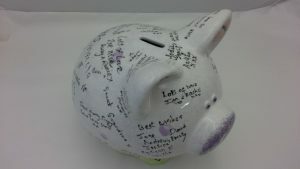 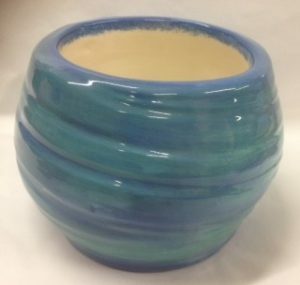 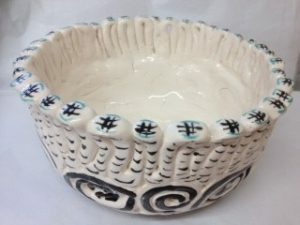 Take an item of pottery to any event for everyone to sign. 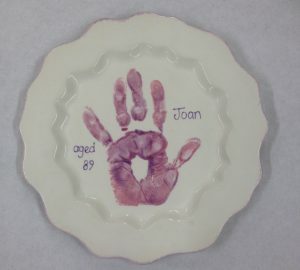 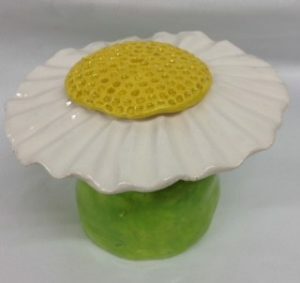 Ceramics have been used for centuries to commemorate special occasions. 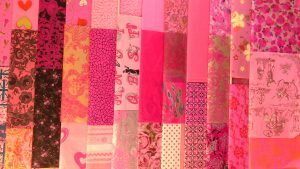 Decopatch is a cut and stick paper craft. 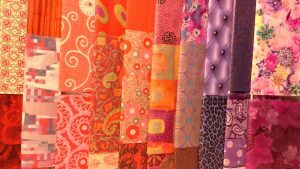 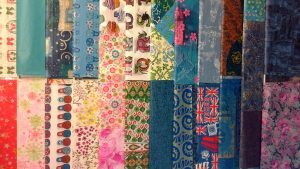 Using small pieces of the bright, colourful papers, almost any surface can be decorated in a patchwork style. 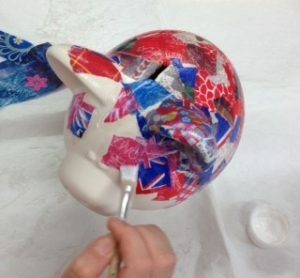 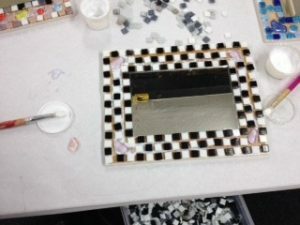 Decopatch glue acts as a varnish when dry. 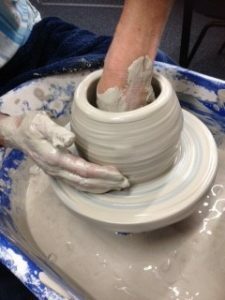 We can supply you with everything you need to continue this addictive hobby at home. 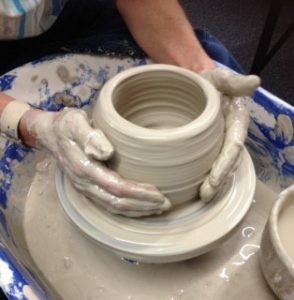 Developing team dynamics and building a more functional team can be fun and constructive at the same time. 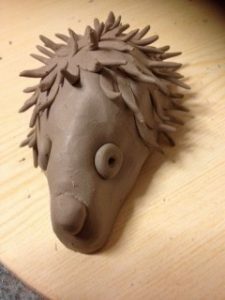 Other times are by Appointment through making a booking.